A cartoon peach character that is available for free download. 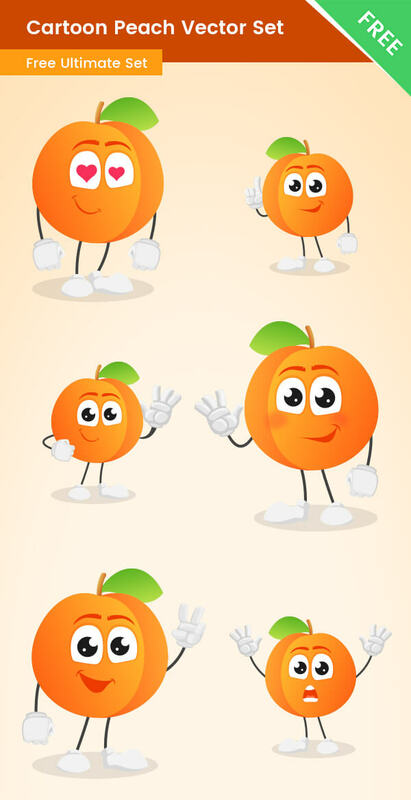 This peach is made of vector shapes in 6 great poses. We’ve designed this peach character in a cute cartoony style, so it is perfect for food and school-related designs. You can use it in different situations because it is available with 6 different poses: Point, Hello, Peace, Shy, Inloved, Shocked. Perfect for kids related projects and available for free.